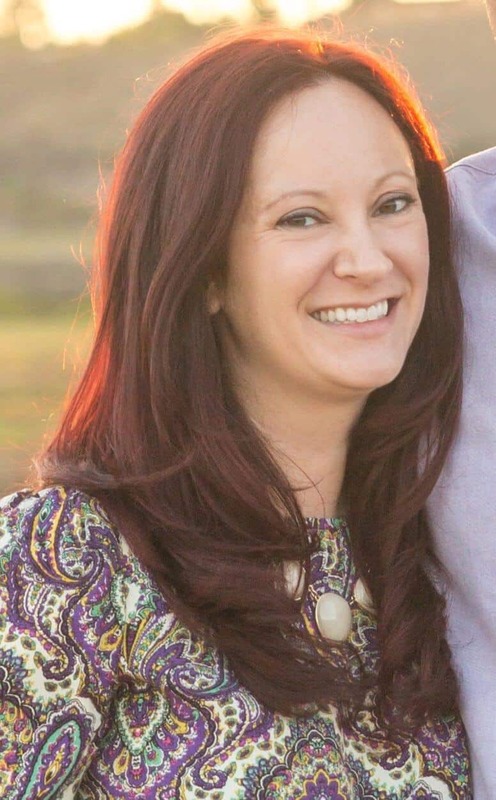 When you have kids, New Year’s Eve definitely isn’t the same as the pre-children days. While it’s obvious young kiddos won’t make it until the 12am ball drop, it’s equally possible that we parents won’t either! 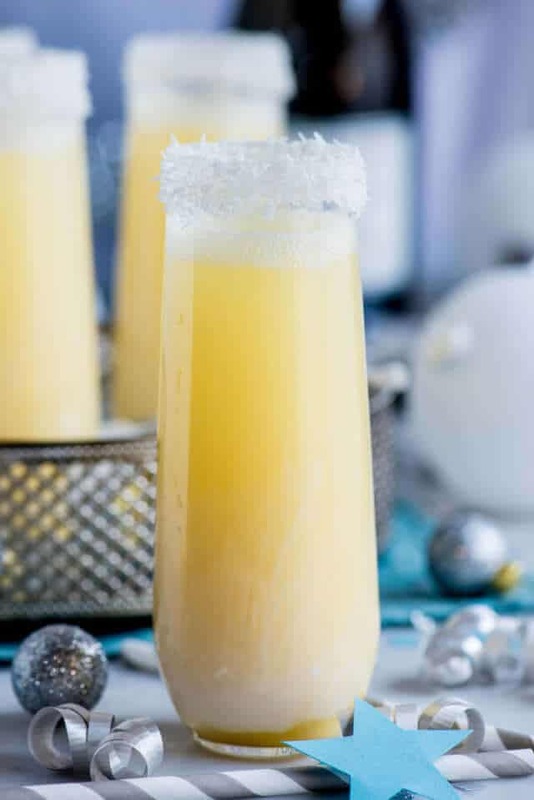 This year, why not celebrate with a Noon Year’s Eve, instead? The mid-day celebration is just as exciting, even though it’s still light outside. The best part is, everyone will still get to bed on time without any FOMO. 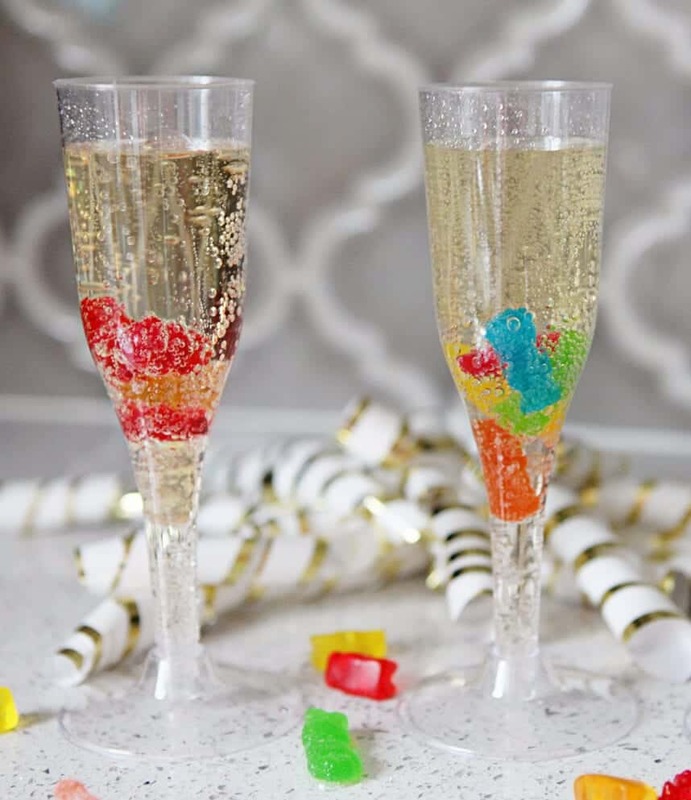 Keep reading for some easy ways to celebrate Noon Year’s Eve with the kids. Make every moment count when you make fun countdown bags! 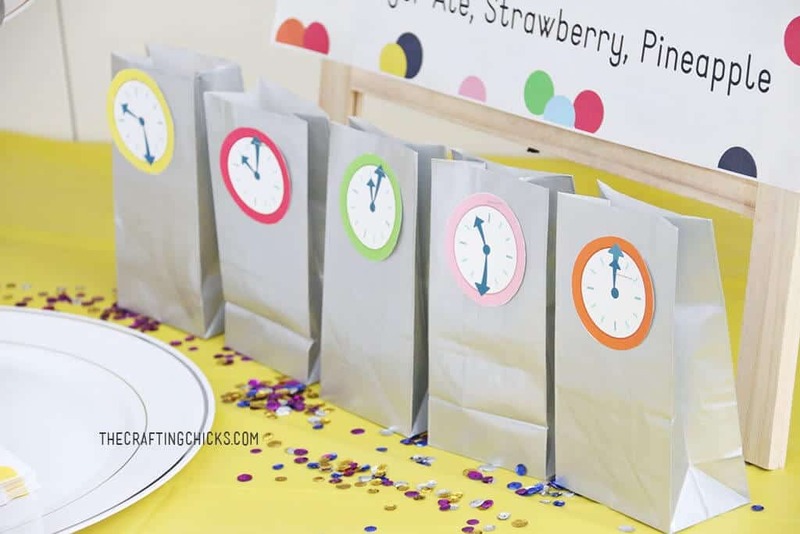 Create a bag with a cute clock that indicates the time it’s to be opened on the outside, and an activity paper inside! Kids will stay busy and hopefully be getting more excited as the time ticks by for the big moment. Download the free printables over at TheCraftingChicks.com! 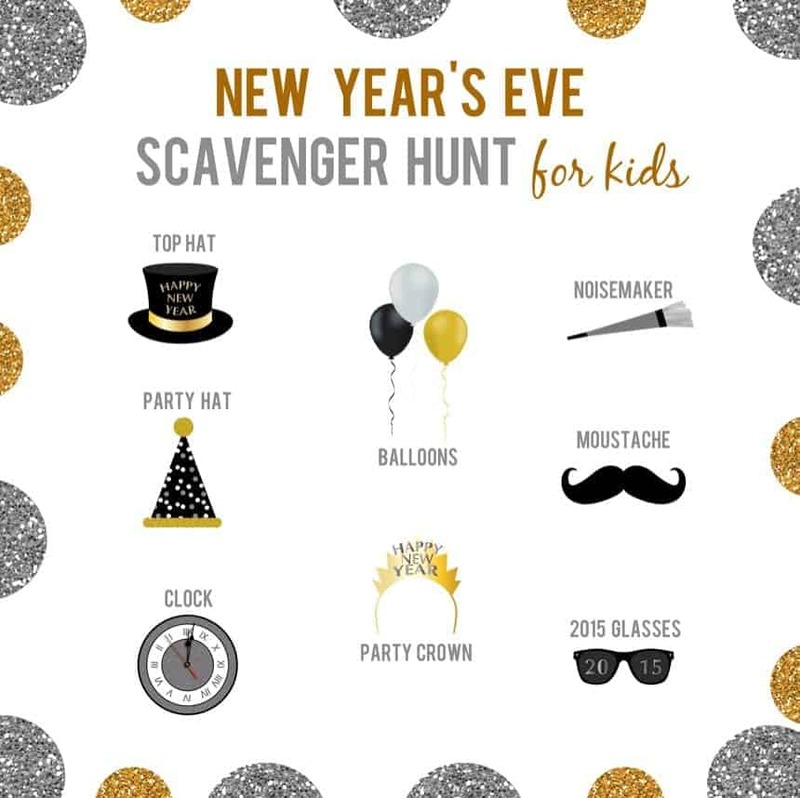 There’s no time like Noon Year’s to go on a scavenger hunt! Whether you’re hosting a large party and you need to get the kids out from under your feet, or you just want the littles to have some fun, this Scavenger Hunt printable is perfect! Print this out for free at ReasonsToSkipTheHousework.com. 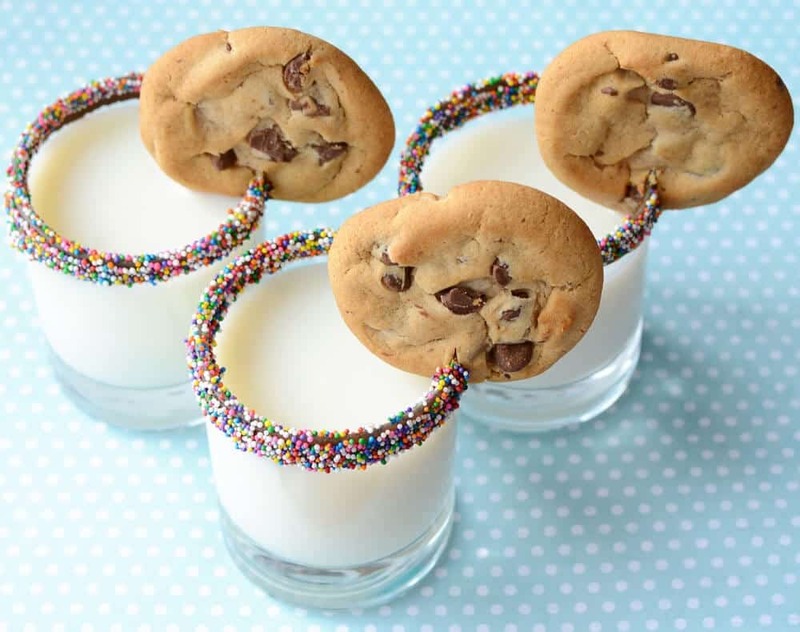 Forgo the champagne with some pretty treats, like these milk and cookies! Make your own cookies or buy store-bought, then attach to chocolate and sprinkle-dipped glasses before filling with chilly milk. We’ll have several, please! Get all the details at CBC.ca. Desserts are nice, but you’ll need some more sustenance to make it to noon! 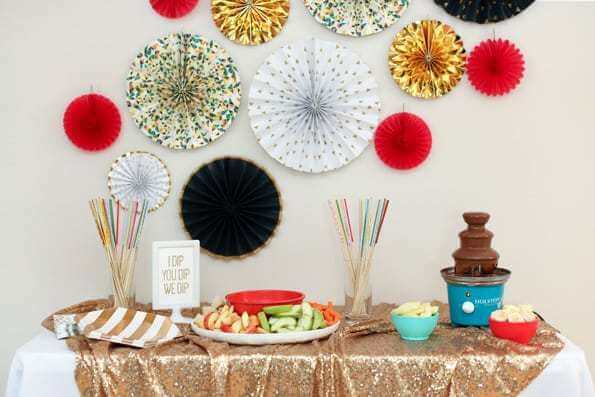 Why not prep a fun fondue table? Small cut fruit and veggies pair perfectly with cheese and chocolate! 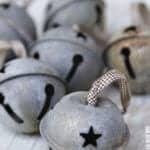 The kids will love the finger food and it will be a fun way to finally use that fondue set you’ve had for years. Check out how to get the ultimate fondue table at GlueSticksBlog.com. When the clock finally strikes 12, do a balloon drop! 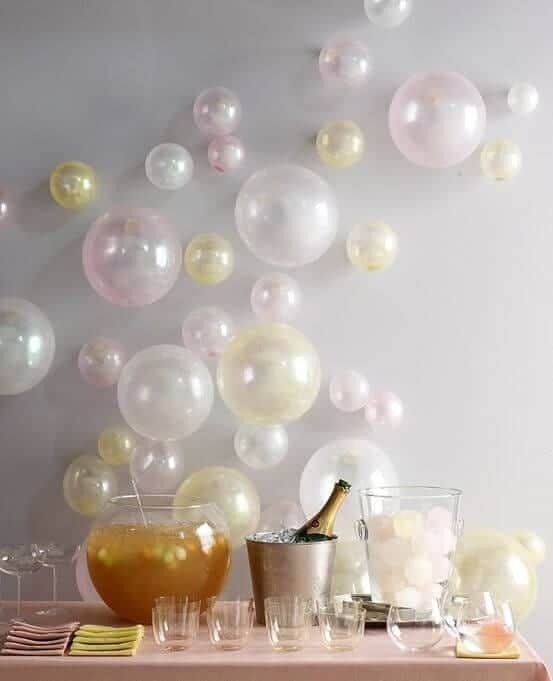 With dollar store supplies, you can create a boatload of balloons that can be pulled down at just the right moment for some fun that makes the new year even more exciting. So how this is done over at MissMaesDays.com. You not in Times Square, but why not get a little noisy? 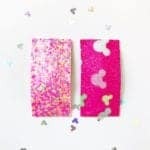 Since it’s the middle of the day, you won’t have to worry about bugging neighbors, and this DIY noisemaker is a great craft to work on while you’re counting down the clock. 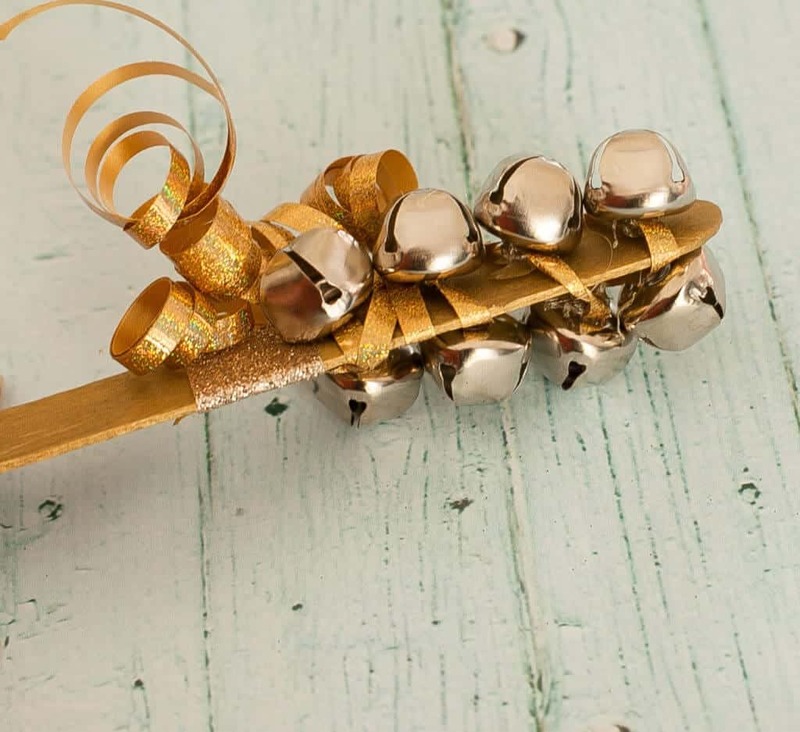 Bells and ribbon are tied to a large stick and voila––instant fun! 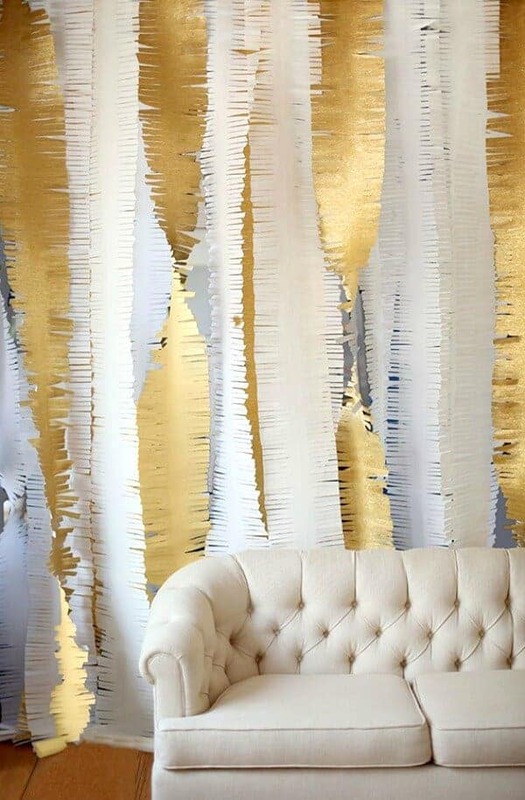 Check out the full tutorial at ProjectNursery.com. It’s always a good time for learning! 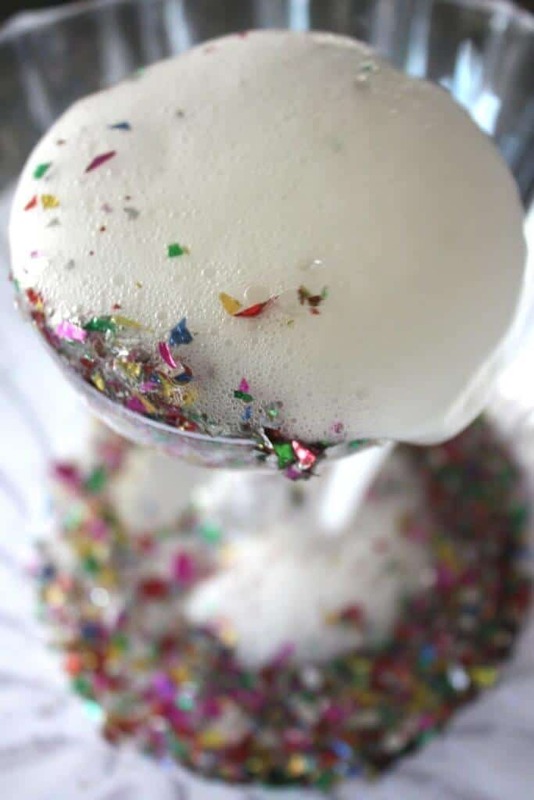 All you need is confetti, baking soda, vinegar, water, some glasses and a baster to make this eruption come to life. 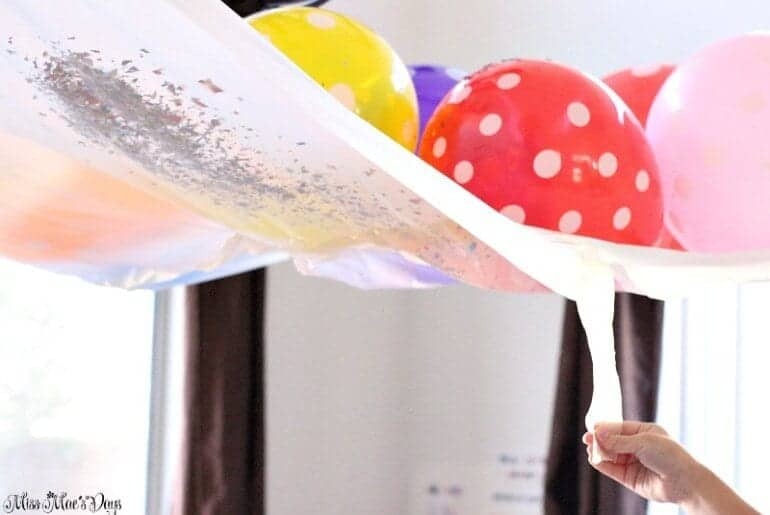 This is a fun way to use up that confetti but also sneak in some STEM learning, too. Head to LittleBinsForLittleHands.com to see all the steps!